Decorating nails is an old age practice which has been going around from the past thousands of years. The trend is still in practice and the nail art technique has become highly advanced due to the advanced techniques like taping, free hand and striping nail art.The use of Nail Art striping tape while doing the nails ensures that your nails get a smooth finishing and looks extraordinary. 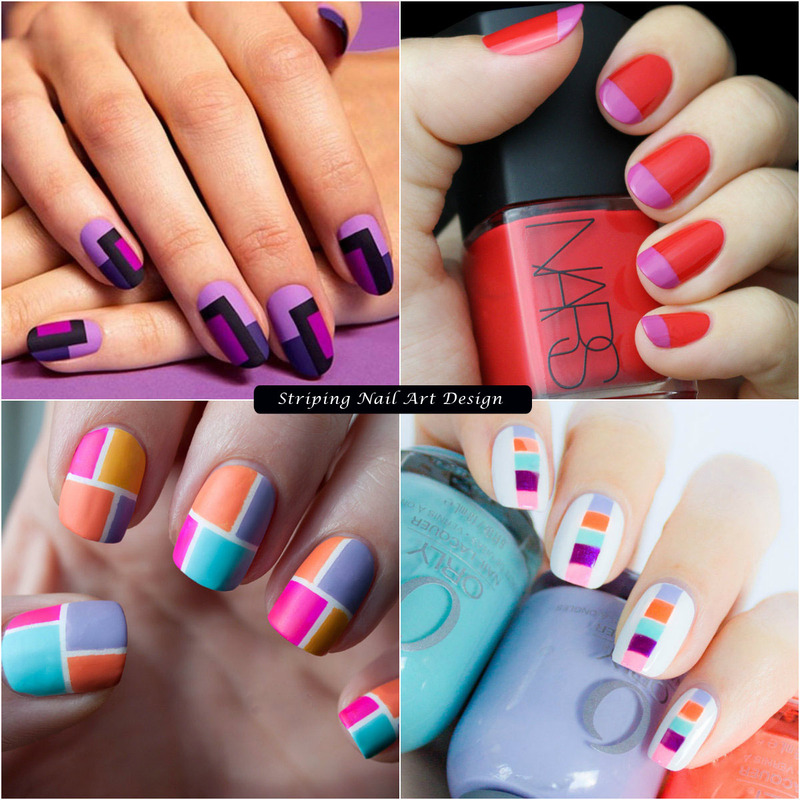 The striping nail art is very creative and yet a simple method to create perfect and professional nail art designs. 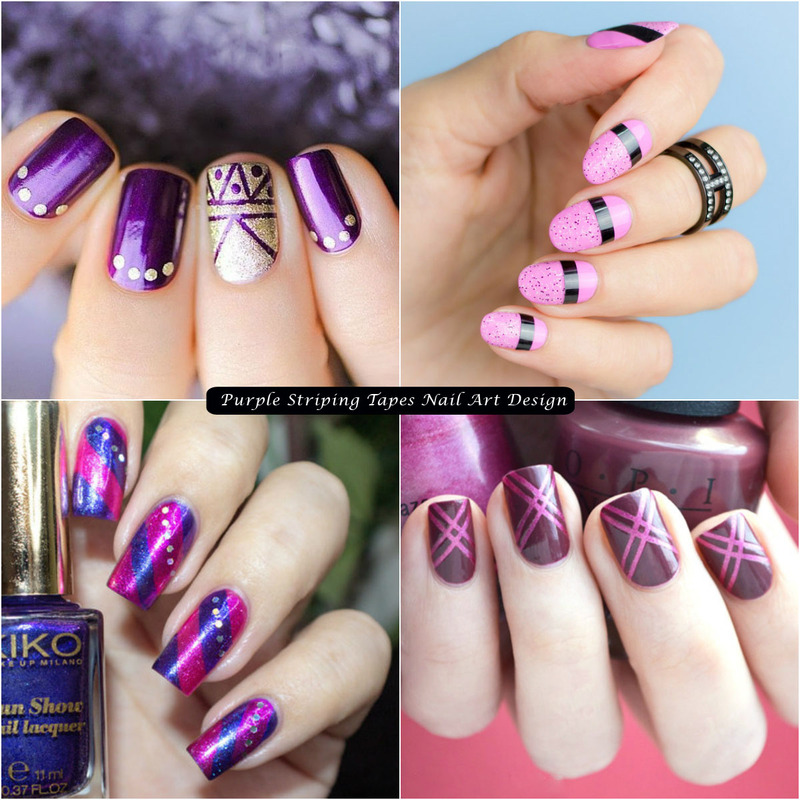 This design is easy to make with some basic nail art to do and is best for the beginners.You can start with two coats of purple nail paint along with the silver one and then you can use the purple and silver striping tapes. This design is fun and quite eye catching and there are many creative designs you can try. Choose the layout for blocks like diagonal lines of tapes for triangle shapes or straight lines for square. This one is a kind of modern take on the French Manicure and imparts a fun and non-traditional look. 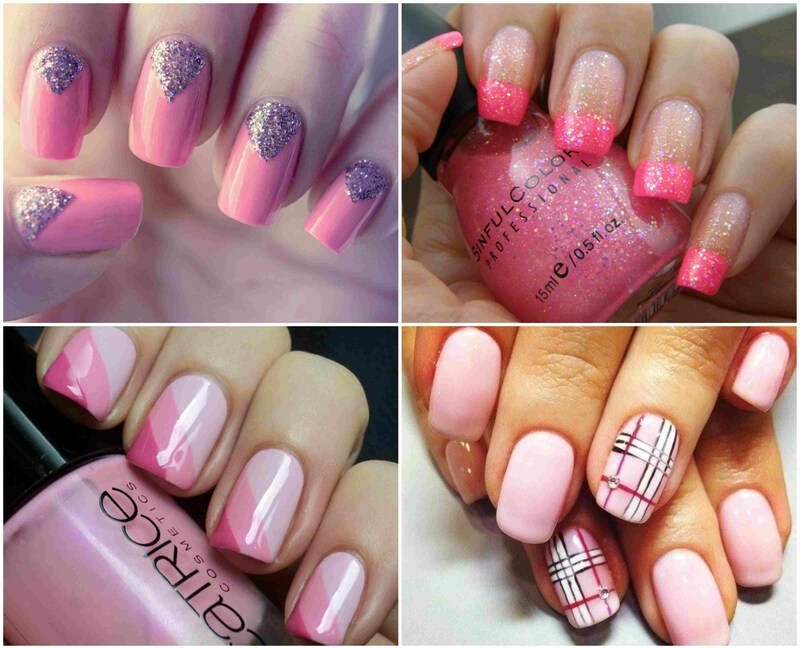 You can apply coats of pink nail paint and can use silver chrome nail polish for the tips. Then you can apply black tape to the lines where pink and silver paint meets. For keeping the striping tape on nails intact, you just have to apply a top coat to hold the striping tape in place. With the help of Nail Art striping tape, you can create amazing nail art designs .You can also use two shades one is the lighter and other is the darker along with the striping tapes and this will create a gradient look.